I get the occasional monkey or gorilla bike sent in for consideration. And to be honest, I’m never quite sure what to do with these machines. 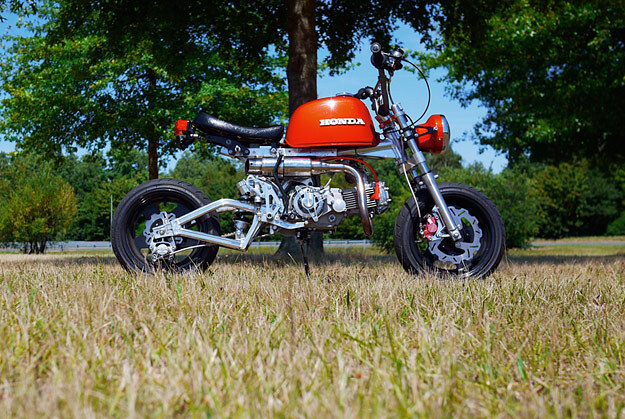 But this Honda Monkey is a cut above the rest, so I’ve included it here as a little light relief. 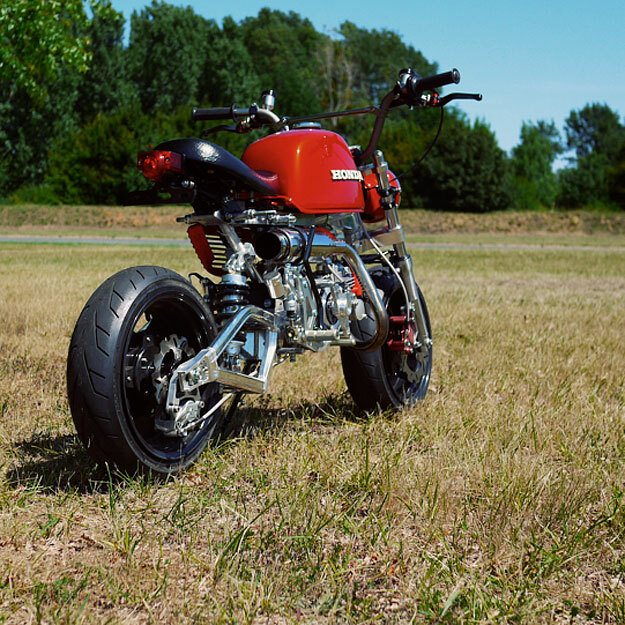 It’s loosely based on the Japanese company’s Z series platform, which apparently grew out of bikes designed to be ridden by children at Japanese amusement parks. 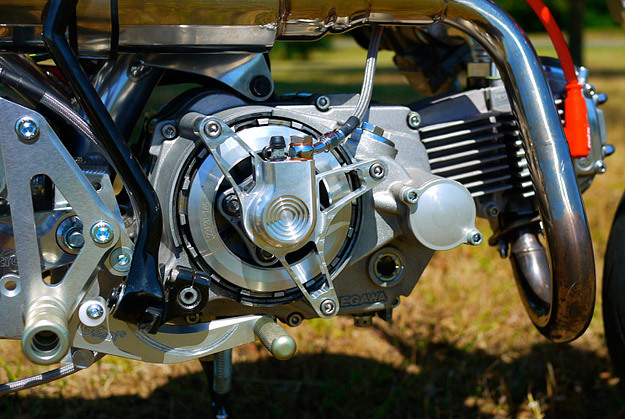 The carb is a Keihin CR26, as you might find on a Honda CB350 or CB400, and when combined with a custom Japanese-made exhaust, the four-stroke motor produces around 20hp. 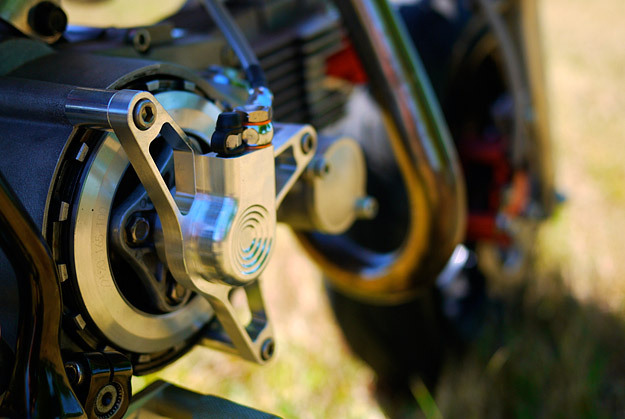 That might not sound like much, but the bike weights only 75kg (165 lbs)—which means a power-to-weight ratio very similar to a Harley Sportster 883. 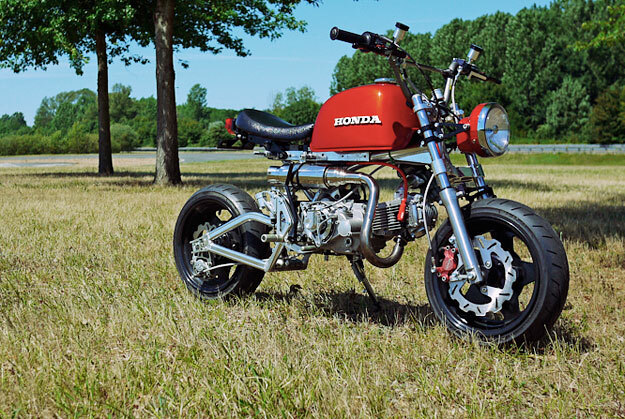 The rest of the bike is built from top-shelf parts, including a Kitaco aluminum frame, Beringer and Brembo brake components, and a G-Craft Alpha swingarm. 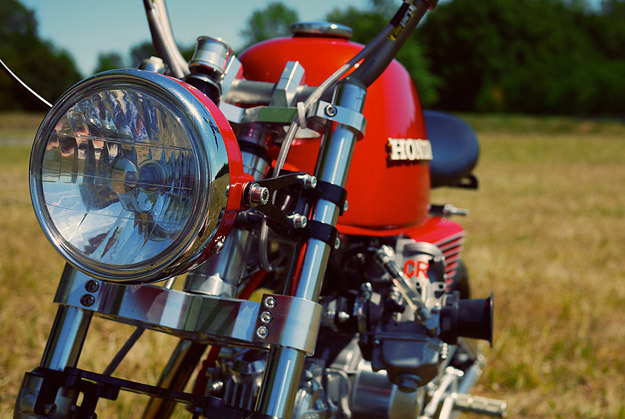 The tank is a genuine Honda item, painted in the same Candy Red shade as a 1969 CB750 and fitted with the logos from a CB750 K2. I’m no expert, but it looks like there’s some very trick engineering going on here—and I bet it’s très amusant to ride.